An Insullite vented recessed light cover is one of the best ways to cover recessed light fixtures. It’s quick and easy to install these flame retardant vented recessed light covers. 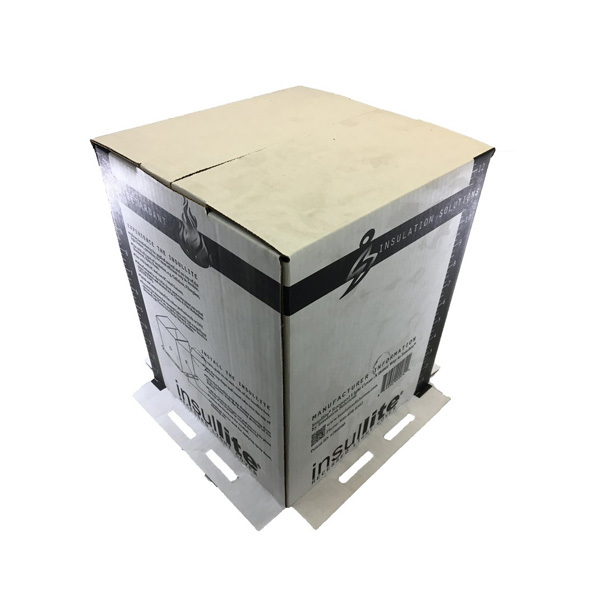 Insulite recessed light covers can be used with all types of insulation, including spray foam applications and are manufactured from post-consumer recycled paper products. This cover comes vented to prevent heat build-up. These recessed light covers are available in two sizes, see SKU IL-103 for a larger size.